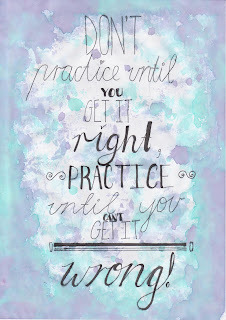 "Don't Practice Until You Get it Right. 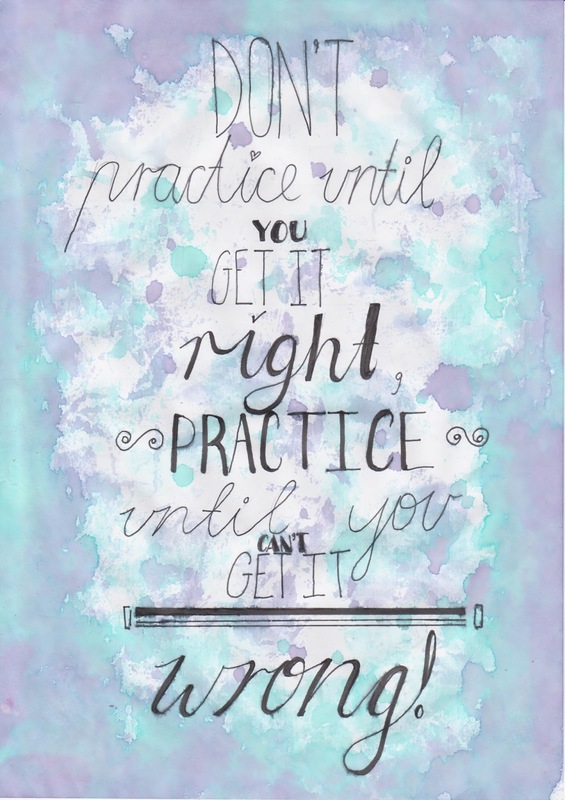 Practice Until You Can't Get it Wrong." reads a poster my daughter left on the bench. There are tons of inspirational messages on the web. Posters I've seen decorating people's houses. All of them extol some positive view of life, proposing that you strive a little, or ignore some, so that you keep some of your sanity. But few know what real perseverance looks like. Not until you've bled. Sweated. Get smashed repeatedly to hone your art. Experienced destruction of your self esteem for it to be rebuilt - stronger. Then come back on your own accord for more. Few know the call of self control until you have someone else's life in your hands, and you need to pull back or some permanent injury is about to be inflicted through your action. Yes, Taekwondo can do that. And few of those people who spout inspirational messages really knows what it takes to nurture a person until you understand the code we live by is there to develop your students' character so they avoid using that deadly force in the wrong situation - and instead use it for good and the protection of the people they love and whom they protect. Why do we share what we do? Historical faction on Choi Hong Hi.